Naturally dyed colored bands are available for an extra charge and can be woven into the bottom and around the handles for added effect. 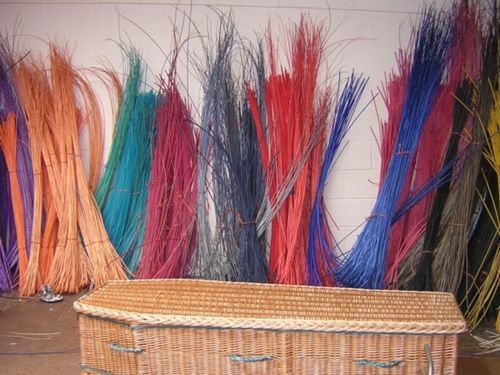 Not all colors are in North American stock but special orders placed during our Container Open-Buy periods can specify from the full range of Somerset Willow options. We can pre-order any color combination or size that you like. Please allow 8-12 weeks for manufacture and shipping.